The most successful inventors I know are passionate about their ideas. Makes sense, doesn’t it? Becoming an entrepreneur isn’t for the faint of heart. I can tell you this: Everyone who makes it experienced rejection countless times before. It’s inevitable. To play this game, you have to be willing to keep at it. You have to let rejection roll off your shoulders. You can’t lose sight of what’s at stake. Being personally invested can really help. Because when the going gets tough, what’s going to propel you not to give up? Purpose. When you’re passionate about your mission, nothing can stop you. So Wang set out to develop a solution. Although she was inexperienced, she said, she kept thinking she couldn’t give up. “Thankfully, my mentors encouraged me to do as much work on my own as I could,” Wang said. “I took their advice to heart. There’s always something to throw your money at. So don’t start.” Bootstrapping her operation paid off. 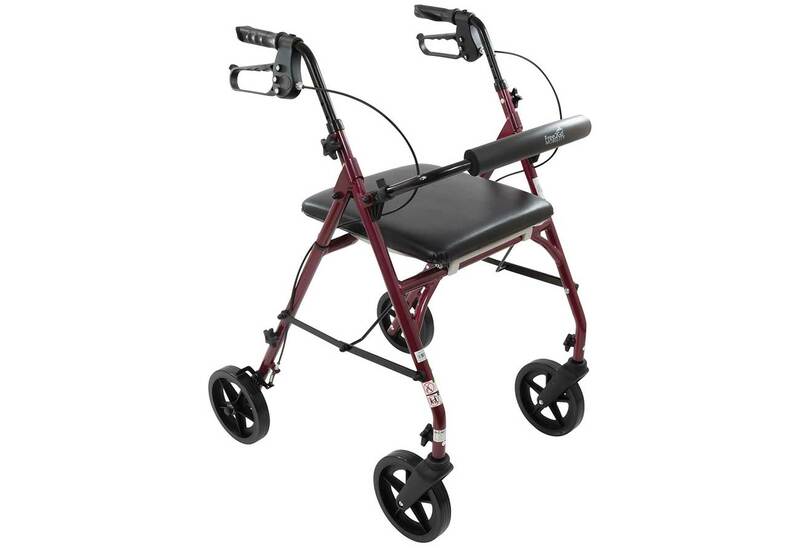 The original prototype she devised by cannibalizing an existing rollator would “fall apart” if someone had actually sat on it, she said. But that wasn’t the point. She wanted feedback first. Were companies interested? She found an eventual partner in Roscoe Medical, now Compass Health Brands. Because she wanted to build a brand, Wang rejected the option of a licensing agreement in favor of working with the company to execute her vision. After many stops and starts, her innovation was market-ready: Wang entered into an exclusive, national contract with Compass to distribute the Free2Go Rollator late last year. Needless to say, its debut is the culmination of years of hard work. Throughout it all, her mom was her sounding board as well as her inspiration. “I probably talked to her 10 times a day,” Wang said. When I asked her what her advice for other inventors is, she was emphatic. “You really need to know in your heart that it’s a good idea. And you really have to do the work. Know your stuff. Be committed.” When people doubt you, she continued, you need an answer for them. That’s conviction. I think she’s so spot-on. Times have changed. We’re all living longer and healthier now. “Its harder now, but my mom wants to be social,” Wang put it simply. Her success is particularly impressive because, in my experience, the medical industry doesn’t readily embrace independent inventors. Perhaps that will change. There will always be obstacles, but if you truly believe in your product, you can find a way to bring it to market. Don’t think you need to build an expensive prototype -- always sell the benefit of the idea first. And finally, attitude is everything. You will hear a lot of nos. So what? Wang didn’t let them defeat her. You shouldn’t either.